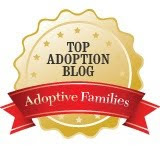 AdoptionTalk: Is the U.S. State Department Anti-Adoption? In 2004, Americans adopted 22,991 orphans from other countries. That number has steadily declined to only 9,319 in 2011, according to State Department records. This decline is happening due to a set of complicated factors based partly upon different views regarding what is best for an orphaned child. The Christian Post spoke to several international adoption experts to understand why the decline is taking place, and why adoptive parents have recently run into difficulties with the State Department when trying to bring their children home. "It's an enormous collapse of a really valid service to children. It didn't just happen by accident. There's a reason that this all happened," Tom DiFilipo, president and CEO of Joint Council on International Children's Services, said in a Jan. 19 interview with The Christian Post. Which is a priority: a child's need for a loving family or a child's race and ethnicity? How one answers this question drives some of the disputes over inter-country adoptions, according to Jedd Medefind, president of Christian Alliance for Orphans and former head of the Office of Faith-Based and Community Initiatives in the George W. Bush administration, in a Feb. 2 interview with The Christian Post. "Both internationally, as well as domestically in the U.S., there have been fierce debates over which is more important, a child's ethnic background, or their need for a family," Medefind said. As usual, we're seeing the U.N., UNICEF, and the State Department being scape-goated for following the Hague Convention. And it's more than halfway through the article before it concedes that adoption corruption and sending country's internal politics might have something to do with the decline, too! The DOS is NOT anti-adoption, but rather anti-corruption, anti-human trafficking and anti-breaking-immigration laws. It just so happens there is a whole lot of corruption and human trafficking associated with interntional adoption... that is EXCEEDINGLY WELL-DOCUMENTED and tied to international adoption from, but by no means limited to Nepal, Guatamala, Kyrzgstan, Vietnam, Kazahkstan and Ethiopia -- that are documented on the DOS website. the DOS is anti-adoption and the "exceedingly well documented" info is the same info brought up over and over again. nepal was closed - all the pipeline files were approved. there is now an investigation into the closing and how the families were lied to. Kazakhstan has no reported and/or proven cases of human trafficking as it relates to the adoption of a minor. Those documents simply do not exist, not ethically so.